In July 2015 the international research project “Transparent organic photovoltaic glass façade (TOP)” started. The project, funded by the German Federal Ministry for Education and Research (BMBF), is part of the promotional initiative „Organic electronics – technology base and application scenarios“. 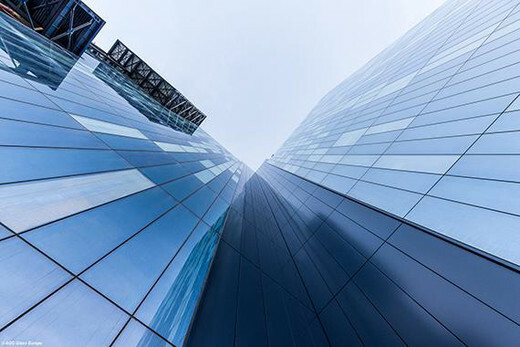 The objective is to prove the utilization and marketability of transparent OPV technology in the area of building glass façades on an exemplary application. The consortium consists of AGC Glass Europe (Louvain-la-Neuve, Belgium), CreaPhys GmbH (Dresden), Fraunhofer FEP (Dresden), Fraunhofer ISE (Freiburg), Heliatek GmbH (Dresden), Lindner Fassaden GmbH (Dettelbach) and the University of Ulm. With a duration of three years the TOP project addresses the central topic of the smart energy supply in Germany and Europe. In Europe approx. 20 Mio square meters on glass surfaces are installed every year on building façades (e.g. office buildings). These surfaces offer the possibility to generate renewable energy, without a need of additional surfaces or installation space. Today these surfaces are not or only with limited access usable for the conventional photovoltaic technology. The dimensionable transparent solar films from Heliatek, which can easily be integrated in glass and can be manufactured transparent, solve this issue. A big variety of applications can be realized with the non-transparent solar films, the so called opaque version of the organic solar film. With the transparent solar film the range of applications can be extended significantly for example in the area of skylight, windows, balustrades, UV protection glass and transparent façades in general. The first application system in this project aims a transmittance of 15-30 % at an efficiency of 8-10 %. Within the project the university of Ulm and Heliatek perform research on the absorber system. CreaPhys cleans the materials and develops methods for monitoring during the whole production process. Together with Heliatek the Fraunhofer FEP explores the production processes for the transparent top contact system and a pre-encapsulation system. 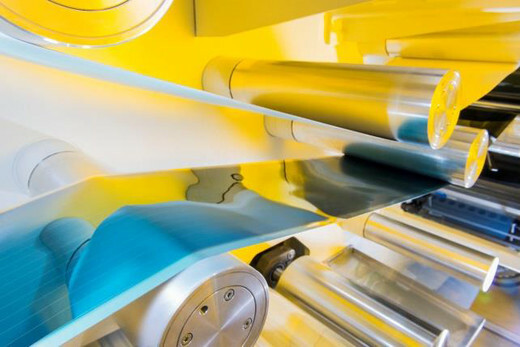 The newly developed and produced films by Heliatek will be integrated into a glass product by AGC Glass Europe and then delivered to Lindner Group. Lindner will install these glasses into a façade demonstrator, the Fraunhofer ISE will identify and analyze the long-term stability of the produced films and active glasses. The German Federal Ministry for Education and Research (BMBF) support with this initiative the research of organic electronics thereby to strengthen the good base and perpetuating the international marketability of German companies into medium and long term. The TOP project is funded by the BMBF and part of the research program “Photonic Research Germany”, funding code: 13N13702.